The Sputnik is Laurier Brantford’s campus newspaper. 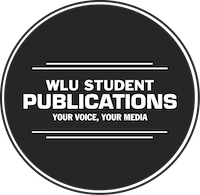 The paper strives to cover news that matters to members of the Brantford community and provides a professional outlet for students to express their opinions and concerns. From campus updates, to arts and entertainment coverage and international response, The Sputnik covers all issues affecting the Laurier community from the viewpoints of students. The first issue of The Sputnik is published. The Sputnik moves into its first office space, in room 208 of the Odeon Building.